Infuse your home with delightful aromas using our scented candles and fragranced boutique candles. At Gold Canyon Australia, we blend precious ingredients with pure functionality to give you candles that create an atmosphere which is comforting and uplifting. You can view our collection of scented candles on our website. Abbott Locksmiths is a leading locksmith company servicing all of Sydney. Available 24 hours a day in case of emergency. Call us today on 1300 655 787. Inquiries: Phone: (02) 9787 3133 Fax: (02) 9787 4057 website: http://www.abbottlocks.com.au E-mail: info@abbottlocks.com.au. Shop at Lowe's for bathtubs & whirlpool bathtubs to fit your home. Find walk in bathtubs, Handicapped Bathtubs, Walk in Bath with Shower, Accessible Bath Tub & more at www.waterwellnesstechnologies.com. 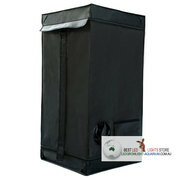 Walk in tubs offer the best solution for seniors and handicapped people. These accessible tubs offer safety, security and of course comfort for the people with limited mobility. Taps are one of the most essential accessories which are highly utilized for getting the supply of water for serving various essential daily life activities. These useful household activities include cooking, drinking, washing, cleaning and others. These taps need to be installed in kitchens, bathrooms, washrooms, sinks, gardens and other places. Cobblestones are long favoured due to their flexibility and strength. These stones are used for pavement of streets as it can easily get settled in every environment. For More Details Visit:- http://www.olympicstone.com.au/. FORMAL WALL LIGHTS - GOLD BRACKET WITH TWO ROUND LIGHTS X 2 CAN SEND PHOTO BY EMAIL. JUST SEND ME YOUR EMAIL ADDRESS.. Size(CM):	40x40x120cm Products Model:	LAU-40x40x120-600D Tent Materia:	600D Rack material:	D16mm*T0.8mm Main material:	Aluminum Foil, Aluminum composite membrane cloth, laser film composite Non-Woven fabric, Gold and silver laser PVC, Metal TPU Foil Application:	professional grow tent indoor growing, the most popular growing way with led grow lights in the world, not affected by Season, growing plants, fruit, vegetable etc. 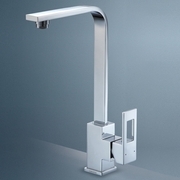 Large array of Adjustable Shower Arms are available in variety of sizes, styles & configurations. These Adjustable Shower Arms have contemporary design which adds to the decor of modern bathrooms. For more details contact us today! 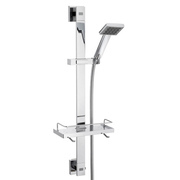 http://www.grolo.com.au/products/shower-heads-a-rails/shower-arms. Find Your Perfect Home with home search Campbell town, we can help you buy your house. Call us today on 414-867-707. Houses for Rent Campbell town. New Home Builders Sydney City Specialises in all types of Builder services including Architects, Architectural Homes, Awnings, Bathroom Renovations, Builders Hardware, Building Consultants, Building Designers, Building Inspections, Building Supplies, Carpenters, Carports, Cladding, Commercial Builders, Custom Design Building, Decks, Duplex, Eco Friendly Building, Entertaining Areas, Factory Building, Full Brick Homes, Granny Flats, Handyman, Home Additions. Shop for St. George brand cook tops as well as knobs available at affordable prices in Sydney, Australia. You can also buy Weiman brand cook top cleaners, scrub and polish packs. For more details visit: http://www.sydneyappliance.com.au/spare-parts/kitchen-cooking/cooktops.html. Renovation Boys provides top quality bathroom, kitchen and laundry products at affordable prices. Contact us TODAY for Bathroom Vanities, shower screens, bathroom accessories and supplies in Sydney. http://www.renovationboys.com.au/. Buy coffee machine spare parts of brands such as DeLonghi, Gaggia and Saeco. You can also shop for sanitary lubricants and coffee descales only at Sydney Appliance Service. 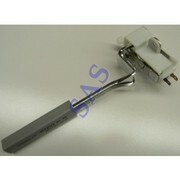 For more details visit: http://www.sydneyappliance.com.au/spare-parts/kitchen-cooking/coffee-machines.html. Are you looking for the elegant and sturdy kitchen and bathroom accessories in Sydney then Taps and More are the finest option for you. Taps and More is Australia’s leading online store offering an enormous range of kitchen and bathroom fixtures and accessories at the most cost-effective prices in Sydney. We provide fridge, washing machine, dishwasher oven repairs in Sydney, Australia. You can also shop for branded appliance spare parts like Panasonic spare parts. For more details visit: http://www.sydneyappliance.com.au/. tilesclearance.com.au Offerstop quality tiles at affordable prices White Floor Tiles, Address : 6/435 Old Geelong Road, Hoppers Crossing, Vic-3029 Australia, Phone No : 03 8360 8601 , 03 8360 3975, Fax : 0383603976.. Looking to buy modish and durable kitchen and bathroom accessories in Sydney? Taps and More is Australia’s leading online store offering a huge range of kitchen and bathroom fixtures and accessories at the most cost-effective prices in Sydney. We offer Bathroom Flexispray Krome 100 3 function exposure rail shower at inexpensive prices. 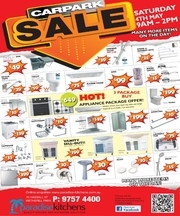 Kitchen & Bathroom Fixtures - Grand Car Park Sale - 4th May!!! 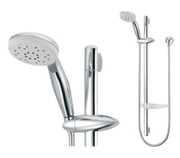 Huge Stock Clearance for Kitchen & Bathroom Fixtures on 4th May 2013 - 9AM to 2PM… Items in the offer – •	Stunning Shower Head $39 only [Actual RRP $120] •	Mixer Taps for kitchen and laundry at $29 only •	Laundry Tub 45 LTR at $139 only Pick from many other quality fittings and accessories for your kitchen and bathroom. Looking for stylish and durable bathroom accessories in Sydney? Taps and More is Australia’s leading online store offering a vast range of kitchen and bathroom fixtures and accessories at the most competitive rates in Sydney. We offer Methven Futura bathroom shower head rail dual spray adjustable height chrome with a polished finish to ensure that your bathroom gets a graceful and pleasing look. Looking to buy elegant and durable kitchen and bathroom accessories in Sydney? 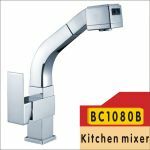 Taps and More are amongst the leading companies in Australia for supplying the finest range in Kitchen and Bathroom accessories. 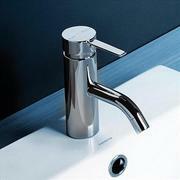 We have an extensive range of high quality and stylish Basin Taps, Bathroom Sink Taps, Dorf Taps, Kitchen Sink Taps etc. At Sydney appliance repairs we provide fridge, washing machine, oven and dishwasher repairs. We alsp provide Smeg, Panasonic, Bosch and Omega brands spare parts. For more info please visit: http://www.sydneyappliance.com.au/. We provide Smeg, Panasonic, Bosch, Omega appliance spares parts in Sydney, Australia. We also provide appliance repair service. http://www.sydneyappliance.com.au/. Grolo Bathroom & Kitchenware helps you beautify your bathroom with a Range of superior quality Bathroom Mirrored Cabinets. To order cabinets for your bathroom from our wide range contact us NOW! http://www.grolo.com.au/products/shaving-cabinets. Looking for the stylish and durable Bathroom Accessories? Taps and More is Australia’s leading online store offering a huge range of kitchen and bathroom fittings and accessories at the most cost-effective prices in Sydney. We offer Quatro Bathroom Vanity Wels Basin Mixer Tap Square with loop style handles and a polished finish to ensure that your bathroom gets an elegant and pleasing look. Are you looking for stylish and high quality bathroom taps and bathroom accessories? 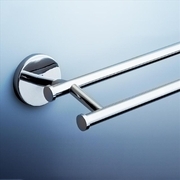 Taps and More is reputed online store offering Chrome Liano Wall Round Double Bath Towel Rail at a discounted price of $230.74! Our bathroom accessories are fitting for any new house or refurbishing any existing house. 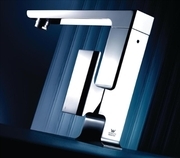 Are you looking for branded high quality kitchen and bathroom taps! 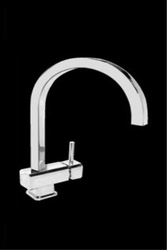 Taps and More is Australia’s leading online store offering Novelli Diablo gooseneck kitchen laundry sink mixer tap at a discounted price of $529.20! Features of: Novelli Diablo Gooseneck Kitchen Laundry Sink Wels Mixer Tap • Ceramic Cartridge with temp control • Mini Stop Valve and Filter Included • WELS 3 Star - 9Ltr Rating. We provide a full range of branded cook tops spare parts and cleaning scrub packs, metal polishes at best prices to maintain the durability of the appliance. For more details visit: http://www.sydneyappliance.com.au/spare-parts/kitchen-cooking/cooktops.html. silver frame beutiful picture size 1m x 1.4m selling for $50 ono. Taps and More is Australia’s leading online store offering Caroma Liano Bathroom Basin Wels Mixer at a discounted rate of $248.17! We also supply bathroom products and accessories of other known brands at reasonable prices. Liano mixer range is guaranteed to meet the latest interior design trends. Looking for quality kitchen and bathroom products and accessories in Sydney? You are at the right place! Taps and More offers a huge range of kitchen and bathroom products and accessories at competitive rates in Sydney. 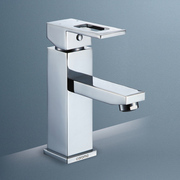 Taps and More offers Dorf Jovian Wels Square Basin Sink Mixer Tap Square at a discounted price of $443. Home, garden Sydney ads Sydney, Home, garden classifieds Sydney, Home, garden free ads Sydney, ads for sale Sydney, ads to buy Sydney, FREEADSAustralia Page number 10-1. Find here ads for sale, to buy and rent in Sydney. Goods for sale in Sydney, vehicles for sale in Sydney, Sydney real estate for sale, Sydney property for sale, property for rent in Sydney, business ads in Sydney, Sydney business classifieds, services in Sydney, Sydney services ads, jobs in Sydney, pets for sale in Sydney, Sydney dating, Sydney cars for sale.